NEW PRODUCT – EL wire 4xAAA pocket inverter « Adafruit Industries – Makers, hackers, artists, designers and engineers! NEW PRODUCT – EL wire 4xAAA pocket inverter. The new EL inverter can drive a meter of tape, or 400 cm of high brightness EL wire. This is the most powerful pocket inverter we could find! 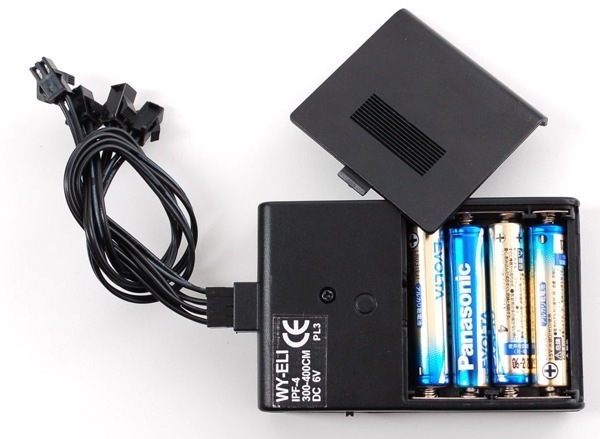 A small, portable inverter for EL wire. Powers off of 4 AAA batteries (not included! ), it can drive 10 to 13 feet of our high-brightness EL wire or 1 meter of EL tape for about 7 hours. There is a switch for selecting steady/blink/off modes. Comes with four 2.5mm pitch female JST connectors, standard for all the EL wire and tape we carry. 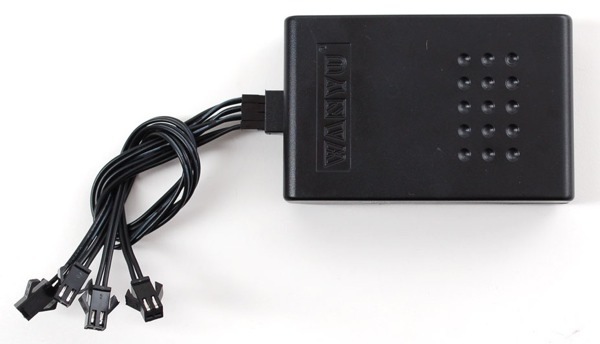 The JST cables snap into the inverter, so if you don’t need all 4 cables, you can use as few as you want. The inverter does not ‘sequence’ the 4 cables, so if you use ‘blink mode’ all the strands will blink at the same time. Like all inverters we’ve used, the 2000 Hz oscillation is slightly audible. To reduce the squeaking, we suggest opening up the case padding it with thick foam tape/weatherstripping. Squirting some hot glue around the capacitors may also help. We managed to get it silent this way. Check out our EL TRON bag tutorial for ideas! Is this AAA or AA? The description says AAA, but the detailed copy has AA. Also, does this have the whine that is common in a lot of inverters? hey! david, hit refresh! we had a typo, it’s AAA everywhere!